Epact: Compass unsigned, 15th century ? This compass, of which only the case now remains, is in a poor condition. It probably belonged to a horizontal dial. 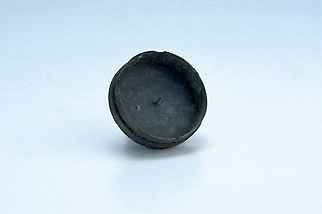 It was found in Suffolk and when it was sent to its former owner, the collector Lewis Evans, it was identified as Roman.